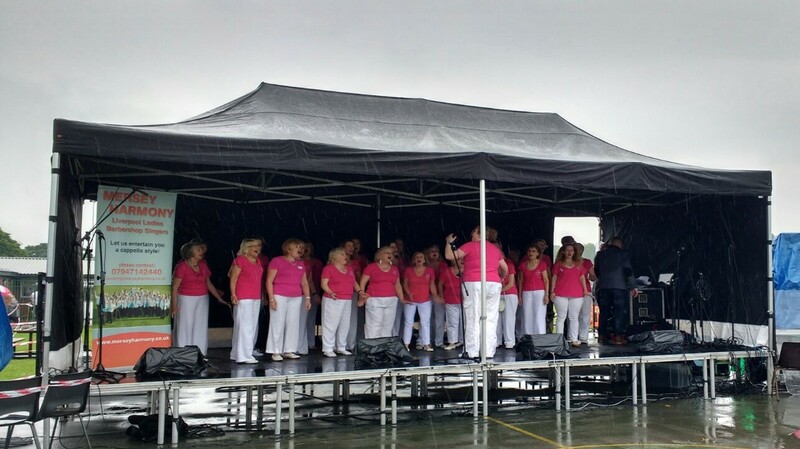 It takes more than a spot of rain to stop us singing! 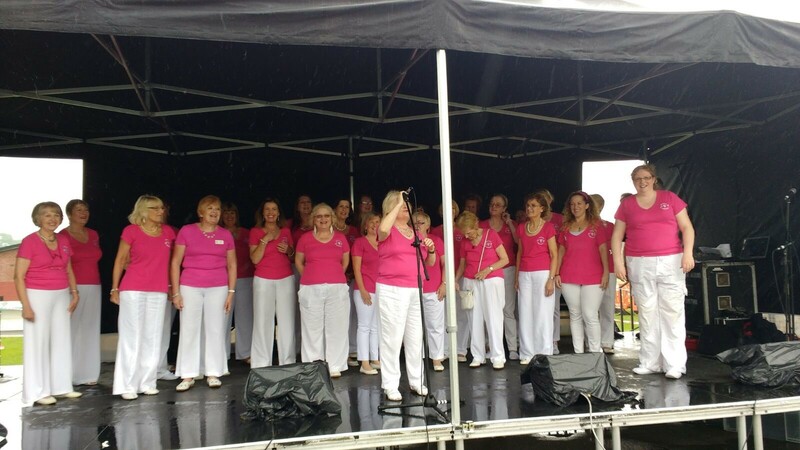 Mersey Harmony took to the stage in Coronation Park, Greasby on June 11th and took part in the Greasby Day celebrations. Previous Post Oh what a night!